The Amazon Echo Dot has been the runt of the litter among the Echo lineup. It’s the most affordable model and the easiest way to get yourself in the world of voice assistants. And because all the Alexa smarts are based in the cloud, the Echo Dot could do almost everything that the bigger and more expensive models could. 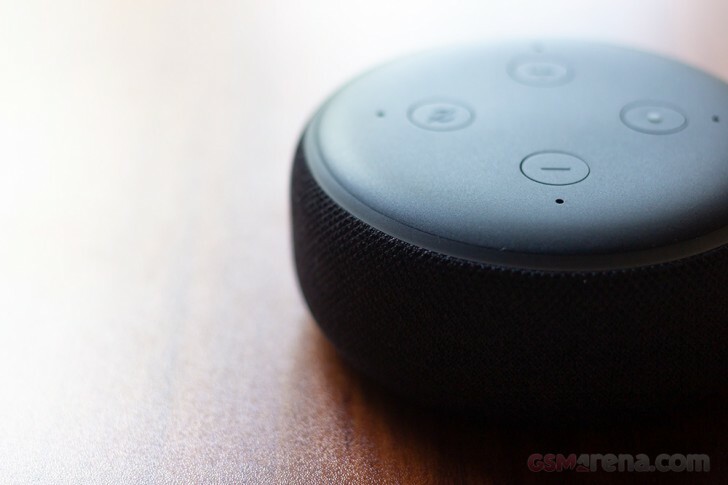 This year, Amazon launched the third edition of the little Echo Dot, giving it a fresh new look that is more in line with its fabric-lined brethren and also improved audio quality. Visually, the new Echo Dot looks like the second generation Echo Plus, just shorter. It still has the same hockey puck like design but now with rounded edges, which makes it look more like a burger patty. The sides are now covered in fabric, which is non removable. 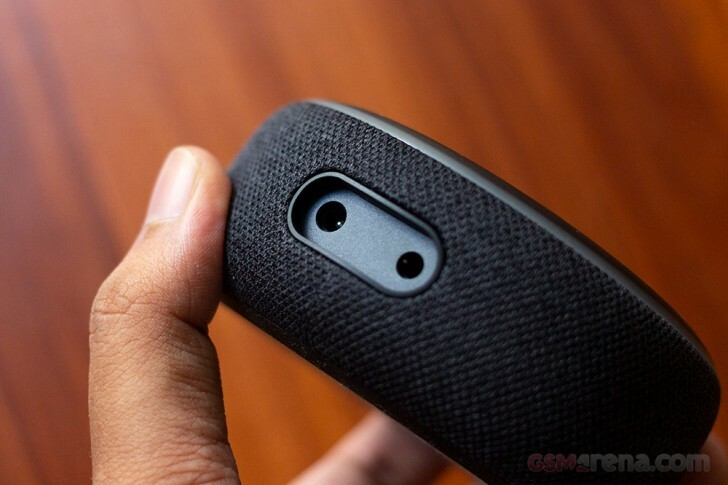 The top has matte plastic with the four buttons for volume, Alexa and mute. The buttons aren’t quite as intuitive or satisfying as the volume control ring on the first generation model but get the job done, especially since you’ll mostly be controlling using voice. The Echo Dot has a ring that goes around the top edge. It glows blue when Alexa is listening to you and light green when you adjust volume. It will flash red when there is an issue with the internet connection or stay red when Alexa is muted. Because the ring is on the edge, it can be seen from the top as well as from the side, so you can easily see it if the device is kept at or below eye level in the room. The bottom of the Echo Dot has a rubber coating that is very grippy but also very hard to clean without a wet cloth. The new Echo Dot is available in three colors, Black, Gray, and White. The new design does look nice, with a more modern and upmarket feel that you won’t be ashamed to have around your house. However, the colors are quite stale and while the ol’ black/white/gray combo is fine, Amazon needs to experiment with more color options like Google so the devices stand out a bit more. The other major difference this time around is the improved audio quality. Improved audio quality in these cases almost always means more bass, and that’s exactly what’s happening here. The new Echo Dot still has a single down-firing driver producing all the sound but it can produce much more mid-bass. This gives more body and warmth to the sound over the previous generation, which sounded like a glorified laptop speaker. Vocals especially sound better, which was noticeable while listening to podcasts, where male voices in particular sounded fuller and more natural. 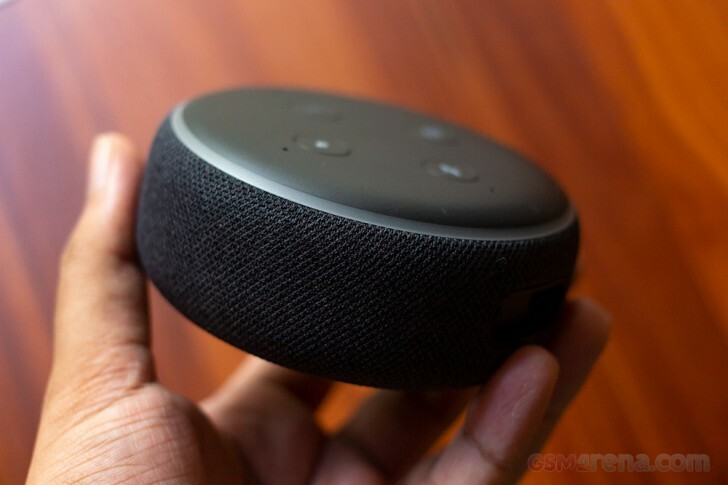 The Echo Dot can even vibrate the surface it’s kept on and use the resonance from that to make the bass sound louder. Unfortunately, the audio quality is still not good, which is to be expected from a device of this size. Apart from the size, the main culprit is the single driver powering all the frequencies. The dynamic range is very narrow and all the frequencies sound muddled together when playing more complex tracks. Where the Echo Dot audio excels is in simpler arrangements. For example, playing City of Stars from La La Land sounded quite decent, as it was just vocals and the piano, but playing Start A Fire from the same album caused the different instruments and vocals to blend into a smoothie where nothing was distinct. The device isn’t really suited for music in my experience, unless you are an extremely undemanding user and just want audio coming out of a thing. 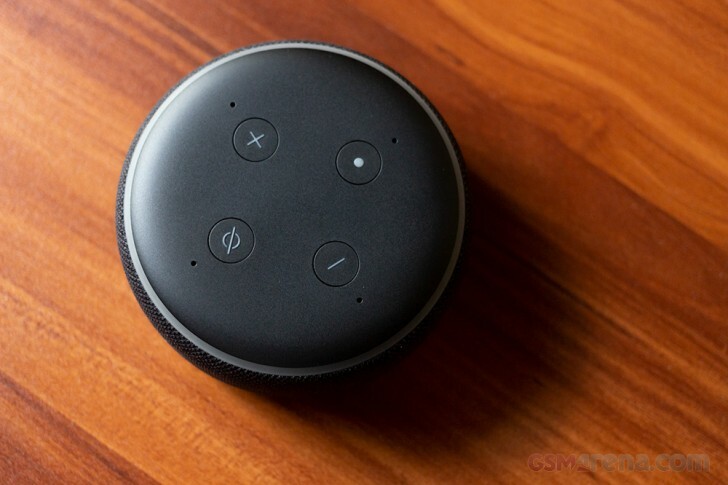 For that use case, the Echo Dot does sound better than a smartphone but a Bluetooth speaker even one that costs as much as the Echo Dot would sound a lot better. What the speaker won’t have, however, is Alexa and all the music streaming services that you can use on the Echo Dot. But the best way to enjoy them is by connecting the Echo Dot to a set of active speakers. It’s the easiest way to convert an old audio system into a modern music station. The rest of the Echo Dot is unchanged, mostly because that’s the part that lives in the cloud. Alexa works just as well on this as it did on the previous one or on the more expensive models. You can ask for currency conversions, recipes, celebrity information, weather forecast, sports score and a lot more. Amazon also does excellent localization and in countries like India has integration with a wide-variety of local services as well support for local accents, sports, holidays and other local information. Many of these are exclusive to Amazon, which gives it an edge over its rivals. 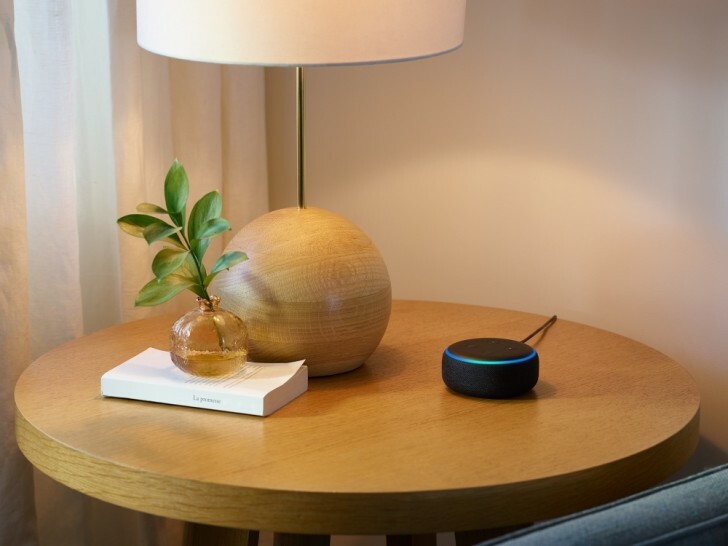 The Echo Dot does not have a built-in hub but it can connect to existing hubs in your house that you can use to control your smart home devices, such as lighting, security camera and HVAC. The Echo Dot is a really good and inexpensive way to experience the voice assistant lifestyle. Admittedly, it’s not for everyone, which is why it makes sense to start off with something cheap like this and if you like what you get then you can consider getting the more expensive models or adding more units to your house. The third generation Echo Dot is definitely improved in terms of design and sound. The sound is still not great overall for music but is perfectly fine for Alexa or things like podcasts and audiobooks. And you can always connect it to a better set of speakers.